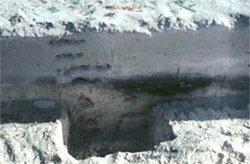 Environmental archaeology is the interdisciplinary study of past human interactions with the natural world – a world that encompasses plants, animals, and landscapes. We seek to reconstruct ancient environments associated with archaeological sites and the use of plants, animals, and landscapes by the people who once inhabited these sites. We are interested in the impact people had on the world around them, and the way ancient peoples perceived and were affected by their surroundings and the plants and animals on which they relied. 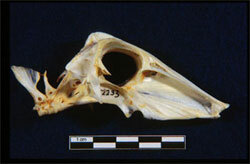 They study animal remains, both vertebrate and invertebrate, from archaeological contexts. These studies provide a better understanding of past lifeways, human diets, changed landscapes, management of animals, impact of human exploitation on other animal populations, and other interactions between animals and humans. 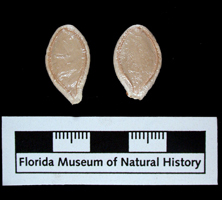 They study plant remains that are preserved at archaeological sites including macroremains such as wood, seeds, nuts, etc. Because these are fragile, they are only preserved in special conditions (desiccated, charred, frozen, waterlogged, or preserved as impressions in baked clay or daub). Archaeobotanists also study microremains such as pollen, phytoliths, and spores, often found in the soils, as residues in pottery vessels, or in the sediments of stable waterbodies around archaeological sites. They study a wide range of data, such as global climate, regional distribution of resources like stone for tools or clay for pots, local geomorphology or topography, and the clues that soil can provide in studies of ancient land-use. All environmental archaeologists, regardless of speciality, often rely on biomolecular sciences for their research, studying DNA, stable isotopes, or heavy metals to reveal even more detail about ancient environments. Here at the Florida Museum of Natural History Environmental Archaeology Program, we have specialists in each of the major subfields. We specialize therefore in the zooarchaeology of macro- and microfauna, both vertebrate and invertebrate, including research at the biomolecular level; in macrobotanical analysis particularly of charred and waterlogged plant remains and woods; and in archaeopedology (one aspect of geoarchaeology), the study of ancient soils from archaeological landscapes.